A great choice for those tight budgets! 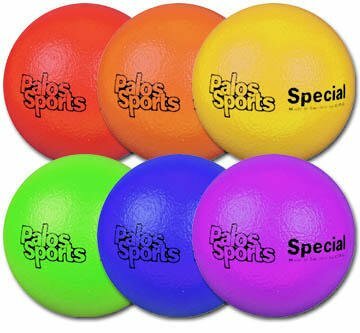 A tough and durable polyurethane covered foam ball. This medium bounce ball is excellent for volleyball or tossing games. Set consists of one of each color: red, orange, yellow, green blue, and purple. A great choice for those tight budgets! If you have any questions about this product by Palos Sports, contact us by completing and submitting the form below. If you are looking for a specif part number, please include it with your message.